Electricity, water and refuse charges. 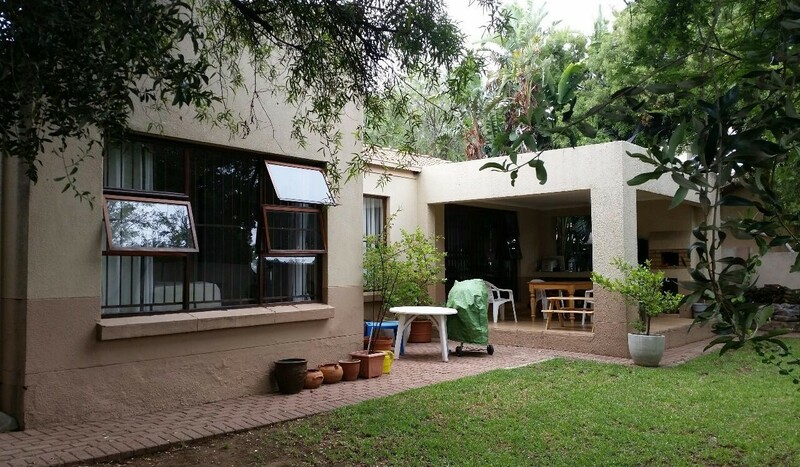 This lovely modern cluster offers a open plan living area with wooden flooring throughout and sliding door to covered patio with built-in braai and wrap around garden. Open plan modern kitchen with granite top, 3 bedrooms (main en suite with shower), 2nd bathroom with bath, outbuilding with bathroom (toilet and basin only), double automated garage and extra parking, secure complex within close proximity to Pineslopes shopping centre and Monte Casino.